Finding a company to remodel a bathroom in your home in St. Paul, Minnesota, is easy. Simply call or e-mail U.S. Patio Systems and Home Remodeling, a local company specializing in affordable bathroom upgrades that can make a world of difference. We utilize products from respected manufacturers, have a well-earned reputation for providing great customer service, and offer a degree of experience that isn’t always available from other bathroom remodeling contractors. By choosing U.S. Patio Systems and Home Remodeling to remodel a bathroom in your home, you will be doing business with an established local company that offers you the very best value for your dollar. We are accredited by the Better Business Bureau and are 100 percent committed to ensuring that your bathroom remodeling goals are met. Replacement tub – Let us replace your old, out-of-date bathtub with a brand new acrylic system in any style, size, or color you like. Replacement shower – We offer a wide range of acrylic replacement shower pans and wall surrounds, as well as accessories such as soap dishes, corner shelving, bench seating, and safety grab bars. 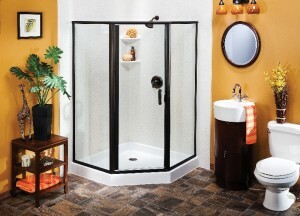 Walk-in tub – Our team can install a walk-in tub that drastically improves the overall safety of your bathing routine. Contact U.S. Patio Systems and Home Remodeling today to request additional information about the bathroom remodel services that we provide in St. Paul, MN.